Forming surgical trays and screening printing of exacting, durable graphics is the specialty of Medicraft, Inc., Elmwood Park, NJ, and meeting the rigorous demands of medical applications has become its forte. 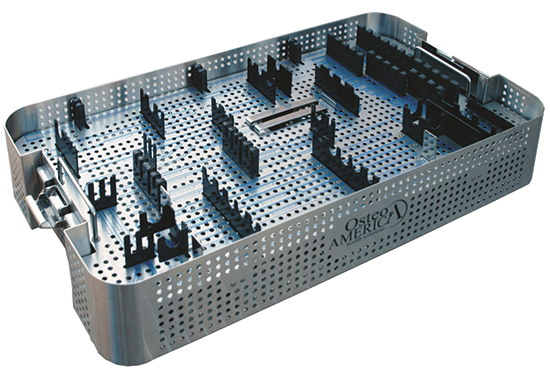 The firm manufactures medical delivery systems from aluminum, stainless steel and plastic, and screen prints graphics onto the trays. 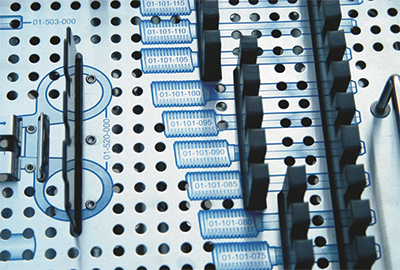 Among its core competencies: metal stamping, CNC milling and turning, welding and assembly. And now, screen printing. The company outsourced its screen printing for many years, but recently established an inhouse screen-printing department to improve its quality-assurance process. “We now screen print about one-third of our trays inhouse, and expect that to increase significantly,” says Seiz. Seiz conducted a significant amount of research before committing to the firm’s new screen-printing system, a pair of Vastex (Allentown, PA) 2000HD one-color tabletop printing presses coupled to a Vastex EconoRed 30 infrared dryer to cure the ink. The industrial-grade machines matched Medicraft’s requirements for fast setup time, fine registration accuracy and high productivity. “Every surgical tray that we screen print is evaluated by an elaborate quality-control system, and would be rejected if not perfect, but the equipment meets our standards,” says Seiz. See also: Vastex International, Inc.